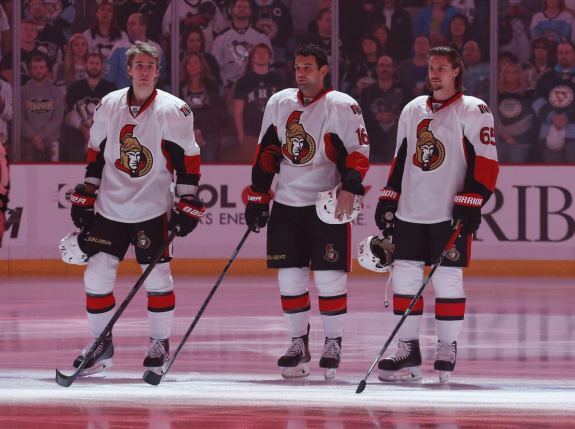 Where Do the Ottawa Senators Truly Stand? The regular season hasn’t even started yet, but everyone is already calling the 2014-15 Ottawa Senators a sure bust. The team really hasn’t changed as much as people thought they would after a horrendous 2013-14 campaign. The Senators lost a lot with the departure of Jason Spezza and Ales Hemsky, but gained some back with the acquisition of Alex Chiasson and the signing of David Legwand. Mostly though, the Senators are the same team that gave up 265 goals a year ago and the same team that failed to grab hold of a playoff spot come early April. It’s easy to say that this team hasn’t improved and they’re going nowhere, but I beg to differ. The Senators may not be a group poised for a deep playoff run, but they surely aren’t in the running for Connor McDavid either. You can’t really find a credible source that puts the Senators in a playoff spot. Sportsnet has set the Sens at 26th in the league, EA Sports has them at 28th and Bodog Sports’ over/under on total points for Ottawa is 80.5. Not exactly the greatest projections this team has ever seen. But as of late, the Senators have a knack for not living up to expectations on both ends of the spectrum. In the 2012-13 season, The Hockey News, Sportsnet and many other hockey publications claimed the Senators were bound to have an abomination of a season, no one having them even close to a playoff push. That year, not only did Ottawa make the playoffs, but they made it to the second round after steamrolling the Montreal Canadiens in five games. Fast forward to the 2013-14 season and all the sports writers and magazines are calling for the Senators to dominate; a couple of them going as far to say that Ottawa will win the conference. You know what happens next. Weak goaltending and a deplorable defence left the Senators five points out of a playoff spot and searching for answers to how a season that had so much promise could go so wrong. The preseason doesn’t count. It indicates nothing. Only eight of the top sixteen teams in the 2013 preseason ended up qualifying for the playoffs that year. It’s merely a practice run, a few meaningless games for teams to throw in their young guys before sending them back down to junior. But the Senators had a good preseason, so we’re going to talk about it. After starting the preseason in Newfoundland, where a couple split squad match-ups found the Senators on the wrong end of two losses to the New York Islanders, Ottawa returned home to play yet another split squad with the Toronto Maple Leafs. The Senators took both games and headed off to Winnipeg where they lost 2-1 in a downright snoozefest. Though, the only games that actually seemed to matter were the last two in a home-and-home against the Montreal Canadiens. After making multiple cuts, Ottawa was able to throw out two relatively solid lineups against a worthy Canadiens squad. 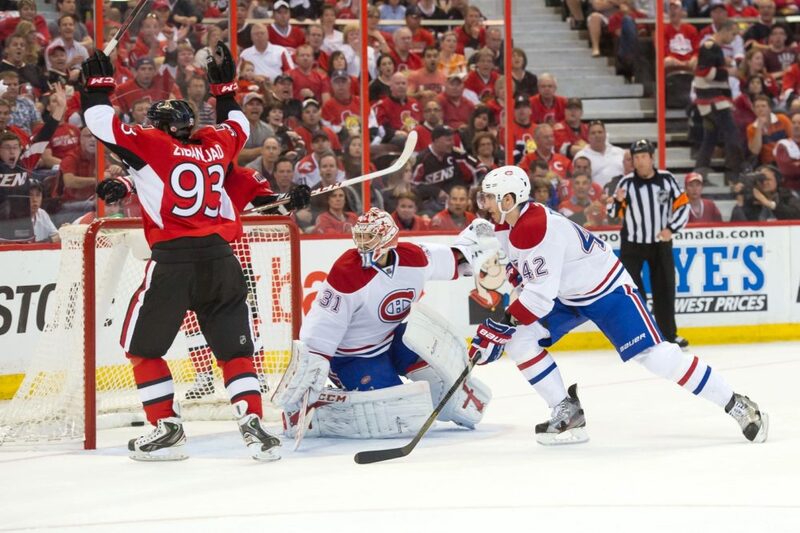 In both games, the Senators outplayed the Canadiens, showing their willingness to throw the body around and their more than capable offence. Two satisfactory games of goaltending and a sufficient performing defensive corps had the Senators on top in Ottawa and also in Montreal. At the end of the preseason, the Senators were fourth (4-2-1) in the Eastern Conference. But it doesn’t count. A couple things need to fall in place for Ottawa to have anything resembling a fighting chance at a playoff spot. For one, they need to take care of the first few games of the season. It’s very possible for the Senators to burst out of the gate running, but only because they are almost completely healthy. In an Eastern Conference riddled with injuries, Ottawa can really benefit from other teams having a slow start, Detroit, in particular. Secondly, this team needs to see some consistency from their defence, goaltending included. With eight defensemen, it’ll be hard to get in a groove with two sitting in the press box every night, but they’ll have to find a way. As for goaltending, one of them needs to step up. It doesn’t matter if it’s Craig Anderson or Robin Lehner, the No.1 position has never been more up for grabs. It’s tough to determine where this team will end up. They undoubtedly have a plethora of offensive talent, and the potential is there on the blue line, but it comes down to whether or not they have learned from last season. It was incomprehensible how much of a fall the Senators took last year, but are they talented and experienced enough to be able to bounce back as a group? I say probably not. But it’s a cautious “probably not.” I see a lot of potential in the Senators, I just don’t think they’ve worked out everything from last season. No one knows what to do with the forward lines, the Marc Methot situation is causing more and more drama by the day, and the fact that Jared Cowen still looks somewhat like the Jared Cowen we saw last year frightens me quite a bit. Having said that, no team with Erik Karlsson can simply just fall to the bottom of the league. That’s insane; it won’t happen. But the Senators aren’t a complete team, and it will ultimately be their downfall. A ninth place finish will be the perfect conclusion. 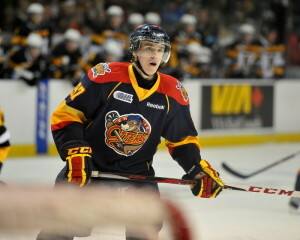 So close to the playoffs and yet, so far away from a quality draft pick.